Weddings in India are grand affairs spread out over several days. Consisting of varieties of traditional ceremonies, Indian weddings are inherently lavish and joyful. Of all the wedding customs, the Mehndi ceremony plays a significant role in the wedding and is an important pre wedding ritual. Representing the sacred bond of matrimony, mehndi is applied on the bride before the wedding as shagun or a sign of good luck. 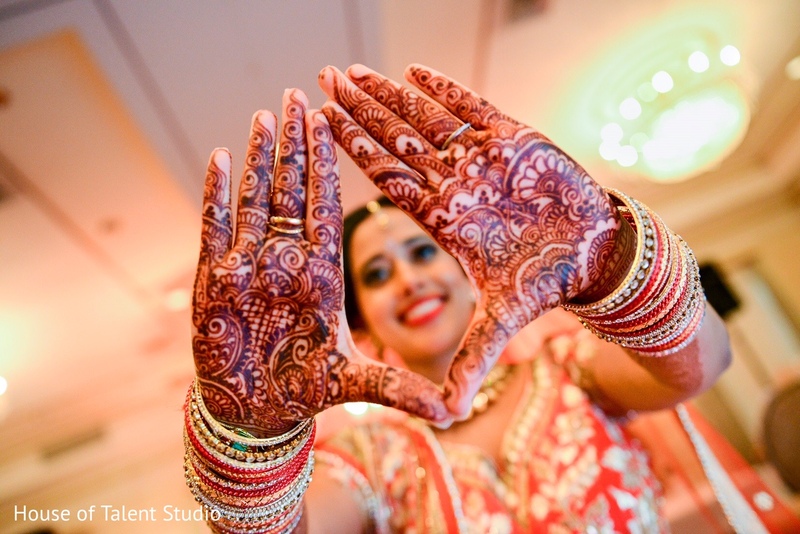 The Mehndi ceremony is held a day or two before the wedding and it is a colourful and lively celebration. 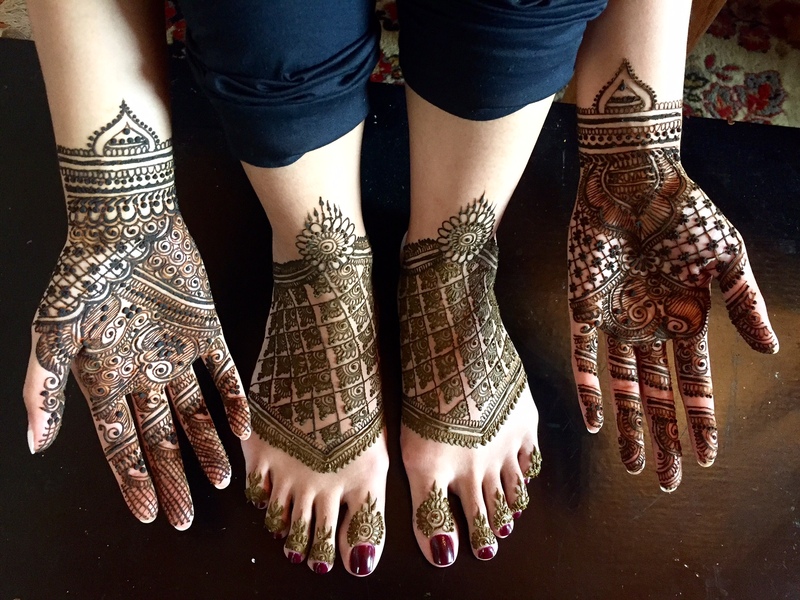 The ladies of the house and other relatives and friends come together to get beautiful Mehndi designs on their hands and feet. 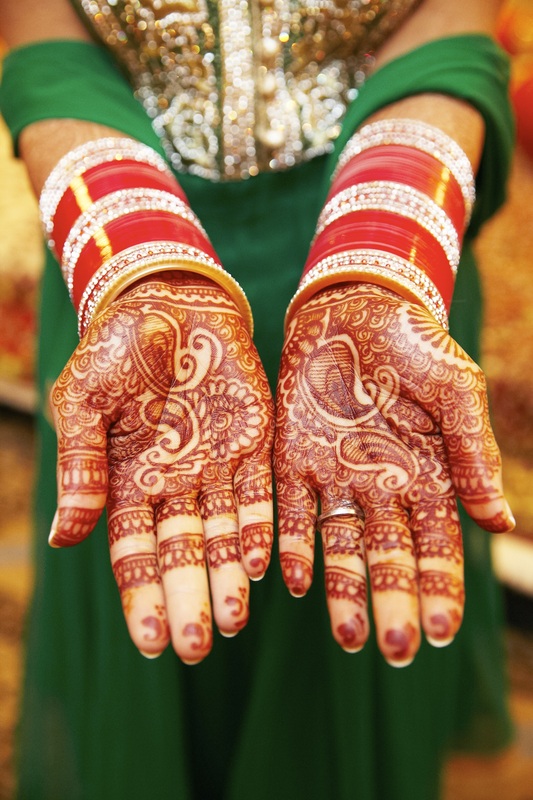 The bridal Mehndi designs are elaborate and ornate and are generally done by skilled artists. The Mehndi applied in this custom comes from the Henna leaves which is pulverised and turned into a paste using some water. Some essential oils such as Eucalyptus or Cloves are also added along with a few drops of lemon are to enhance the potency as well as the benefits of Mehndi. Mehendi has significant health benefits and is known to calm the stressful nerves that appear to be a part of the wedding process. Additionally, the rich colour and the intense smell of the Mehendi also acts as a strong aphrodisiac and boosts the romance in the early wedding days! The Mehndi paste is applied by putting in plastic cones with a small puncture at the end. The skilled artists make a variety of designs on the bride’s hand and feet using these cones and the designs are then left to dry and gain colour overnight. 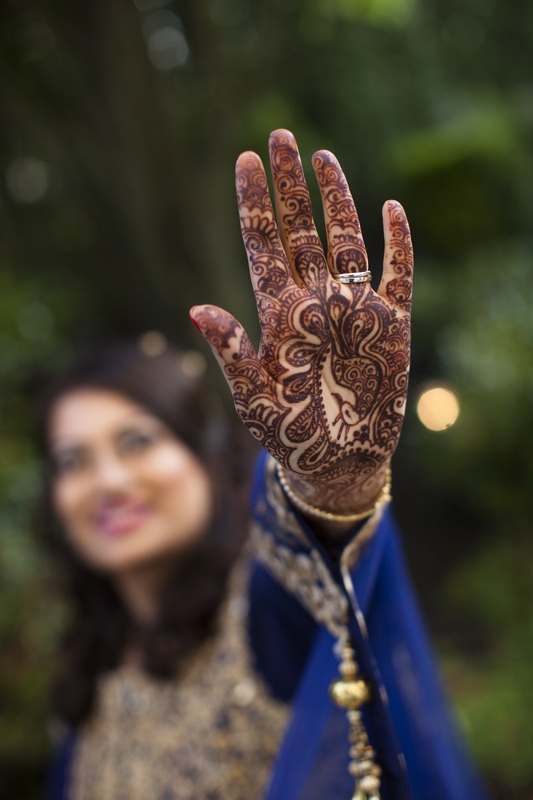 In Hindu traditions, the mehndi represents the love between the couple and it is believed that the darker the Mehndi is, the stronger the love shared between them. Mehndi is an auspicious part of the wedding ceremony and today there are several options for prospective brides to get latest Mehendi designs done from skilled designers at luxury boutiques. 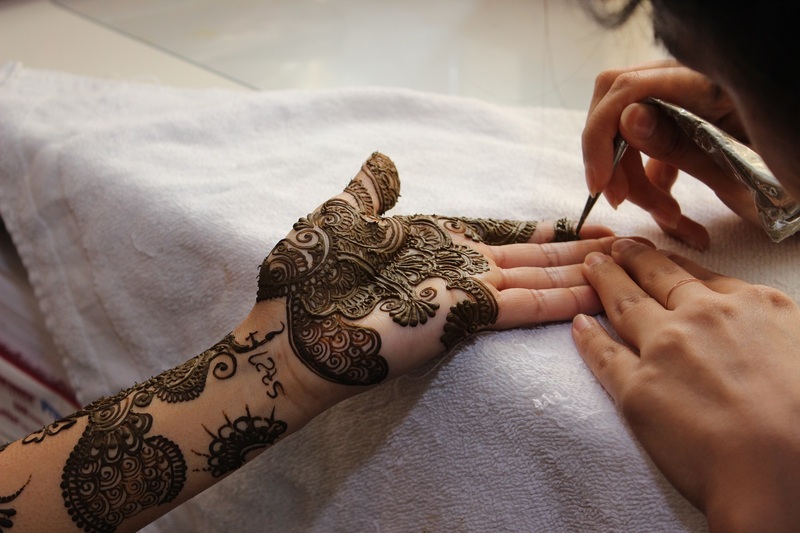 Mehndikälogie is one such luxury boutique that offers henna artistry services for all occasions. One of their key selling points is the fact that they use a 100% organic henna paste that is prepared and packaged in-house. Mehndikälogie is the brainchild of Dhara Suvarnakar who is a connoisseur of art, culture and fashion. 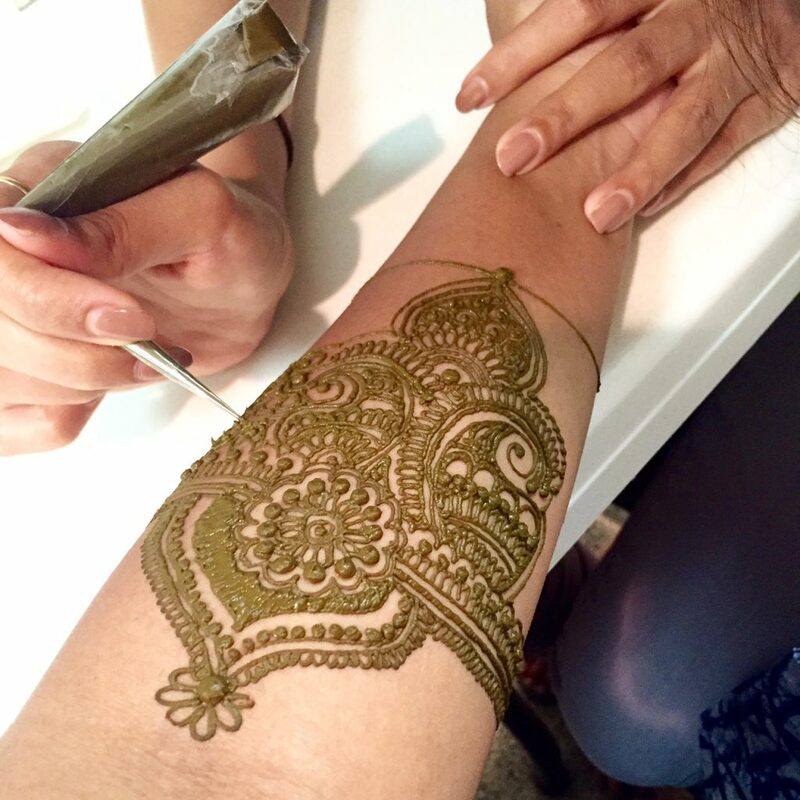 Dhara has always had a love for the ancient art of Mehndi and she turned it into her career by becoming a professional henna artist. Since then, she has beautified the hands and feet of many brides and their guests. Through her company Mehndikälogie, Dhara works closely with brides and consults individually with them to ensure that they get their own unique and personalised Mehndi designs for their wedding day. © Copyright Big Fat Asian Wedding 2019. Powered by WordPress.